Well into the twentieth century, brick and stone were the materials used. Bricklaying and stonemasonry were the construction technologies employed for the exterior walls of virtually all major structures. However, with the rise in quality of life, the massive walls alone became incapable of fulfilling all the developed needs. Adjacent systems and layers had then to be attached to the massive layer. Nowadays, the external wall is usually composed of a layered construction. Each external wall function is usually represented by a separate layer or system. The massive layer of the wall is usually responsible for the load-bearing function. Traditional massive external walls vary in terms of their external appearance, their composition and attached layers. However, their design and construction process is usually a repeated process. It is a linear process where each discipline is concerned with a separate layer or system. These disciplines usually take their tasks away and bring them back to be re-integrated in a layered manner. New massive technologies with additional function have recently become available. Such technologies can provide the external wall with other functions in addition to its load-bearing function. The purpose of this research is to map the changes required to the traditional design and construction process when massive technologies with additional function are applied in external walls. Moreover, the research aims at assessing the performance of massive solutions with additional function when compared to traditional solutions in two different contexts, the Netherlands and Egypt. Through the analysis of different additional function technologies in external walls, a guidance scheme for different stakeholders is generated. It shows the expected process changes as related to the product level and customization level. 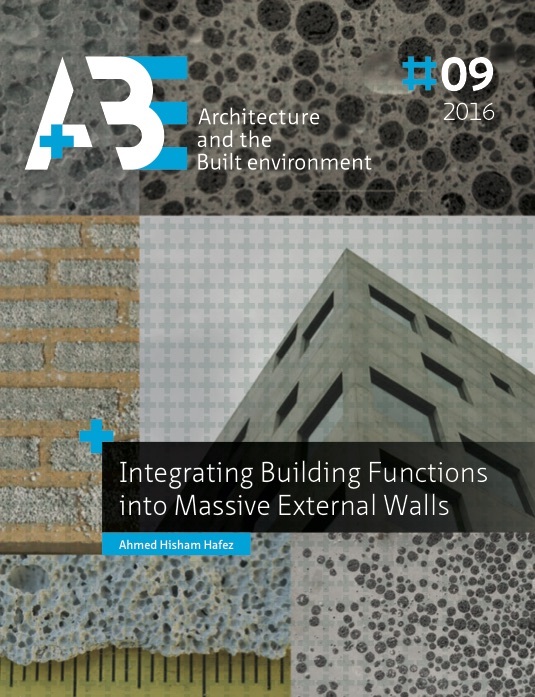 Moreover, the research concludes that the performance of additional insulating technologies, and specifically Autoclaved Aerated Concrete can provide a better construction compared to the traditional external wall construction of the Netherlands and Egypt.